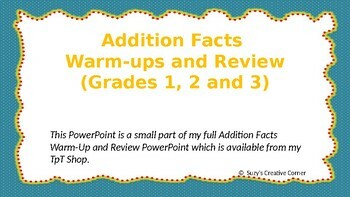 This powerpoint is a small sample of my much larger Addition Facts PowerPoint. 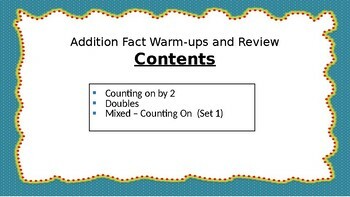 It is a wonderful way to streamline your maths facts practice. It saves time and paper. Simply choose the set which you wish to use from the contents slide and start the slides. 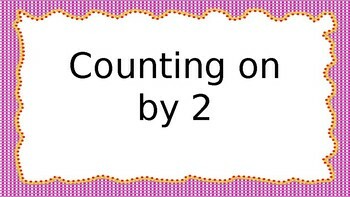 These will then transition automatically at a duration of seven seconds until they reach the answer slide. There are 15 questions in each set. The full version of this PowerPoint is available from my shop, Suzy's Creative Corner.